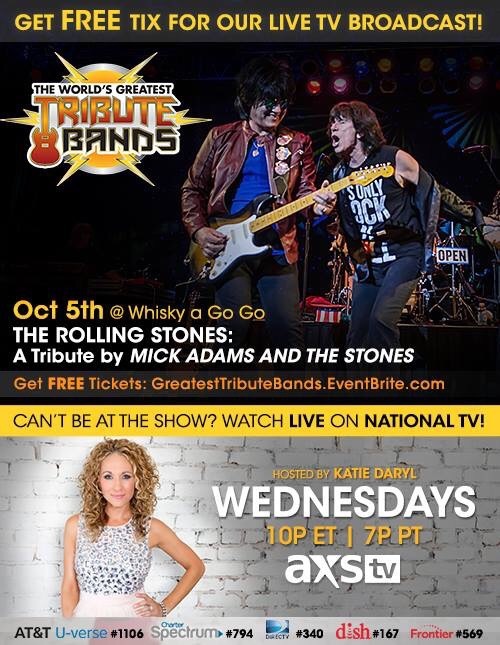 The World’s Greatest Tribute Bands Hosted By Katie Daryl Season 7 on AXS TV continued with Mick Adams and the Stones’ tribute to the Rolling Stones. 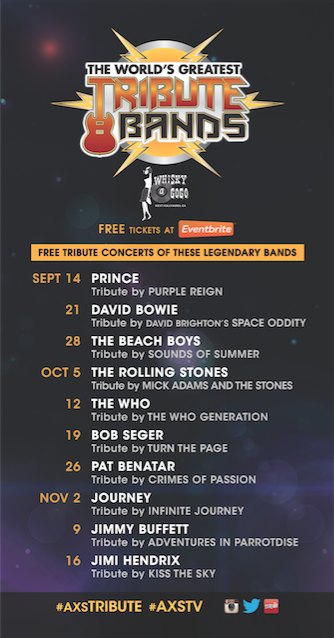 Last Week: Beach Boys Tribute on AXS TV’s The World’s Greatest Tribute Bands by Sounds of Summer hosted By Katie Daryl at the Whisky a Go Go. 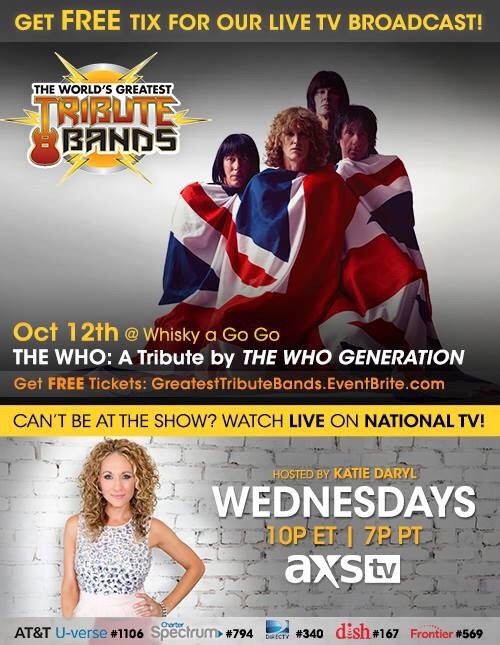 NEXT WEEK, to continue in the spirit of OLDCHELLA, is a tribute to THE WHO: (THE WHO GENERATION) live at The Whisky on Wednesday, October 12, 2016 at 10 ET | 7 PT.